That's right, folks. Today is the day. This is the moment where you say to yourself, "What's the point?" as you throw your pop can in an ungreen-like fashion into the trash can instead of the recycling container. Shame on you. No, the end of the world to which I'm referring has been predicted by one Harold Camping, an 89 year old Christian radio broadcaster. His end comes in two parts. On May 21, 2011 precisely at 6pm local time, we will see the Rapture, the Biblical ascension of God's elect people, approximately 200 million people, into heaven. 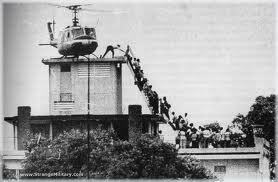 They disappear and the rest of us have to hang around until October 21, 2011 when the end of the world comes. However, according to Camping, instead of the rest of us going to hell - literally! - we just cease to exist. That's annililationism. On Camping's web site Family Radio he provides some explanations of how he arrived at this date. First of all he says for God, a thousand years is equal to one day. Apparently, it has been said that God is to return seven days after the Great Flood. Now this flood, from which Noah escaped in the Ark, took place in 4,990 B.C. so 4990 + 2011 - 1 = 7,000. - You have to subtract one because there was no year zero. - Consequently or should I say mathematically we arrive at the conclusion that today is the day. If that isn't enough evidence, Mr. Camping has also penned an essay entitled "Gay Pride: Planned by God as a Sign of the End" in which he enumerates the various signs which indicate the end of the world is coming. These include the creation of the state of Israel, the rise of Charismatic Movement, the great spiritual decay in most churches, and - here it comes - the phenomenal world-wide success of the Gay Pride movement. Boy, the other day somebody called me a homo sapiens. Should I be worried? This is Mr. Camping 2nd prediction of the world ending. He already said the world would end in September 1994 but when the end failed to materialize, he attributed this to a mathematical error. No one knows what he's going to say this time. Today's Message: Mr. Camping describes the great earthquakes that will launch the beginning of Judgment Day. Judgment Day begins May 21, 2011. Daily updates will be posted on this youtube channel. Various newspapers are reporting that Mr. Camping's radio network has posted 3,000 billboards about Judgment Day across the world, including 85 in Canada. On the opposite side of the coin, people are organising "rapture parties" to celebrate the non end of the world. Facebook is sprouting several groups named "Post Rapture Looting", I guess with the idea of cashing in with those who are raptured and no longer with us. Well, I've made up my mind. Today I refuse to vacuum. It's a long weekend. If the Rapture takes place and I'm picked, I don't have to do it. If I'm not picked, what the heck, who's going to notice between now and October 21, 2011? If nothing happens, I still have Sunday and holiday Monday to do my vacuuming. Any way you slice it, end of the world or not, I've got this baby nailed down. Well, I've got it nailed down at least until December 21, 2012 when the Mayan calendar comes to the end of its current cycle. That supposedly is when the world comes to an end. *rolls eyes* Call me when you get this figured out. I just read the Sydney Morning Herald from Australia dated May 22. The title of their article was "Rapture deadline passes, world still here". Oh well, on to the Mayan end of the world. Okay, no Rapture, no end of the world. Judgement deferred, jokes are on. Today's Rapture postponed as Jesus awaits announcement of surprise guest on final Oprah. Savior "hopeful" but "okay with it" if not picked. Some Twitter users told people to leave empty pairs of shoes and discarded clothes on their lawns to suggest they had been raptured. For $135.00 we will guarantee that should the Rapture occur within ten (10) years of receipt of payment, one pet per residence will be saved. Britain's Guardian newspaper reports that Camping and his followers spent more than $100 million in a worldwide campaign of billboards, posters, and other advertisements. Camping can be heard in a video taped interview declaring that he is positive judgement day is coming and there is no plan B. For those who invested in Camping's advertising campaign possibly selling their own stuff, they are now going to be wishing there was a plan B.
see Daily Mail - May 13/2011 OMG!!! A retired New York subway employee has pumped his $140,000 life savings into an ad campaign warning that the world will end on May 21. Robert Fitzpatrick, a follower of the notorious California Evangalist Harold Camping, has posted his Doomsday message on 1,000 subway car placards and at bus shelters throughout New York city. It is true that some evangelical theologians focus upon the Armageddon to the neglect of immediate, material problems. But many more have preached that Jesus would prefer to return to a world that deserved him. The threat of Armageddon is not, as the Guardian suggests, “the fundamentalist Christian equivalent of the last helicopter out of Saigon”. Rather it is a spur to action: a reminder that God is watching what you are doing and that He expects results. That is an interesting statement: Jesus would prefer to return to a world that deserved him. If I follow Dr. Stanley, we have a lot of work to do in order to become worthy of Christ's return. Paul Brandeis Raushenbush in the Huffington Post points out that people who put their trust in these movements have a sense of powerlessness, and they need to believe in a radical solution to their current situation. While the rich and powerful make fun, the followers of Camping and the May 21 movement are largely working-class people who feel that they have less and less of a voice or place in this world. Like buying a lottery ticket, they are placing bets on a instant transformation of their personal situation where the last will become first, and the rich will be sent away empty. Does a sense of hopelessness bring out the need for radical change? If an individual doesn't feel there is anything he or she can do to make a better world, maybe the apocalypse seems like the answer. Collectively we have a lot to do. If I look around, I see pestilence, war, famine, and death. What can I do about it? What can any of us do about it? Nevertheless, it seems like an interesting idea: Jesus would prefer to return to a world that deserved him. Maybe if we could get our act together, Jesus would in fact return. Harold Egbert Camping (born July 19, 1921) is a Christian radio broadcaster and president of Family Radio, a California-based religious broadcasting network that spans more than 150 outlets in the United States as well as a website. The 2011 end times prediction made by Christian radio host Harold Camping states that the Rapture (in premillennial theology, the taking up into heaven of God's elect people) will take place on May 21, 2011 at 6 p.m. local time (the rapture will sweep the globe time zone by time zone) and that the end of the world as we know it will take place five months later on October 21, 2011. In Christianity, annihilationism is the belief that sinners are destroyed, rather than tormented forever in "hell" as in the lake of fire. The Rapture is a reference to the being caught up referred to in the Biblical passage 1 Thess 4:17 when in the End Times the Christians will be gathered together in the air to meet Christ. 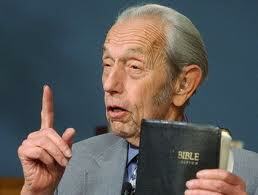 Counting down the Last Days until Judgment Day on May 21, 2011 with Harold Camping and Family Radio.